The essential education program. 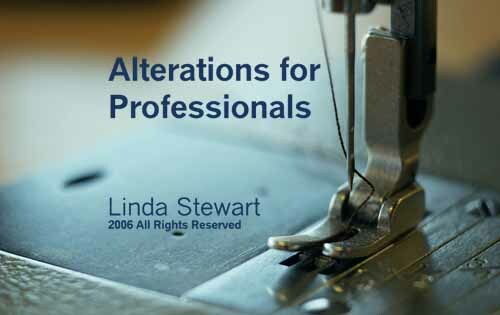 Professional alterations training in one easy-to-follow book on CD. Lavishly illustrated with photos and drawings. Gain confidence and knowledge...clients and profits will follow! $74.95 plus $6.00 P&H for members of Association of Sewing and Design Professionals. and ASG members. Please note these are BOOKS on CD. They are NOT videos. All of the books have full color photographs and may be printed for your convenience in using. Preview: Click here to see the table of contents! Preview: Click here to see sample page! Learn techniques for working on even the most challenging wedding, prom and evening gowns. Special business section includes pricing, client relation, sourcing and much, much more. 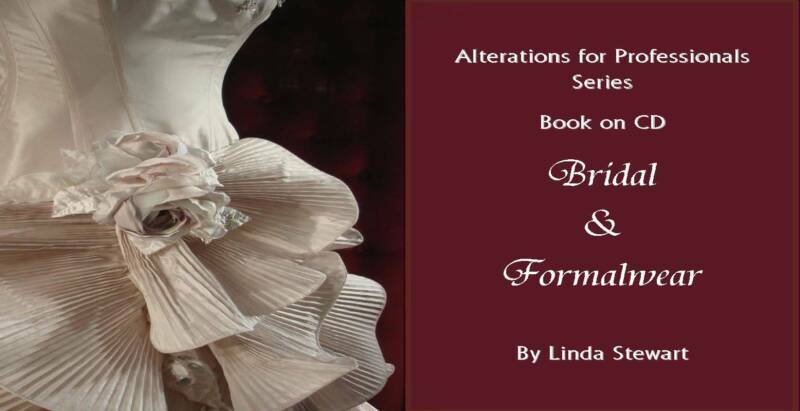 The book on CD is packed with 110 pages of instruction and full color photos detailing techniques needed to tackle bridal and formalwear with confidence. Preview: Click here to see table of contents! Order by phone at 908 310 8214 PST. I accept checks, money orders and invoice credit card through PayPal. Include your name, address and which book or books you are ordering. simply contact us and they will be replaced. All CD's are tested before mailing.